Social media is a great way to spread brand awareness, engage with your followers, and reach potential clients but when it comes down to it, you don’t own any of the content or your social media followers. If Facebook, Twitter, Instagram or any other social media platform decided to shut down, you lose all of those followers and the content that you posted on them. What are the two things you will always have control over? Your website and your email list. Chances are you already have an awesome website, but have you started to build your email list yet? You might have a handful of emails from doing client work but a newsletter is a great way to grow this list as well as provide users with useful information. If you’ve already started a newsletter or gave email marketing a try, good for you! 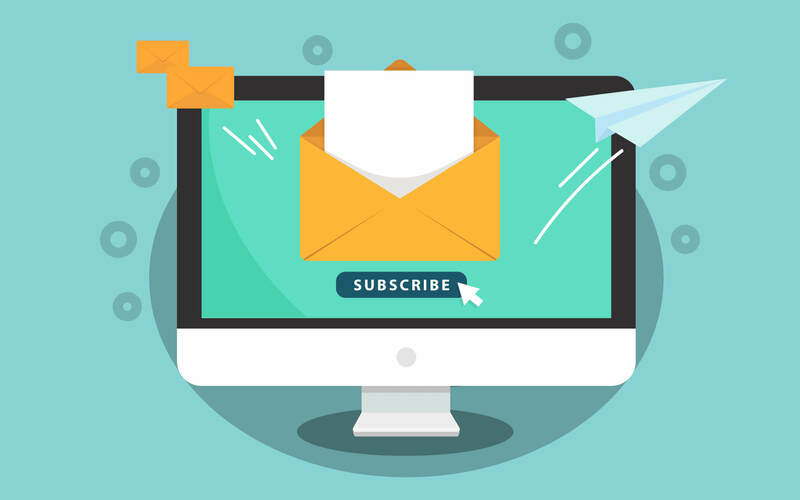 If you’re looking for ways to improve your newsletter and establish a better relationship with your subscribers, you came to the right place! Keeping a consistent voice and branding across all of your social media accounts, your website, and your newsletter is so important. To really set your newsletter apart, create exclusive content just for your email subscribers! This will help set your newsletter apart from others and help entice individuals to sign up for your list! Keep in mind that creating exclusive content for your newsletter will require more work – finding high-quality images (or shooting them! ), planning out the content, and actually writing it! We are living in a digital world – individuals are much more visual than they were before, making it important to ensure the design of your newsletter is appealing to those who have subscribed to your email list. When designing your newsletter, consider the look and feel of your website, your brand colors, and your brand voice to keep everything consistent. If you’re not experienced with design or with newsletters as a whole, we suggest hiring someone to do your email marketing for you! Emailing your subscribers every time you have a sale or any time a new employee joins your team might sound exciting but avoiding doing this will help decrease the number of people unsubscribing from your newsletter. Don’t overwhelm the user and stick to a schedule so they know when to expect from your emails. This doesn’t mean you can’t send newsletters out when there is big news to share, just be aware of being overwhelming. Are you just starting your newsletter? Maybe you’ve hit a plateau with your subscribers? Either way, always remind your followers on social media that you do have a newsletter and show them how they can easily subscribe to it! Sharing a sneak peek of the content you’re writing for it will also help push users to subscribe. Keep it short and sweet. Your newsletter is a space to share new images, create a personal relationship with your subscribers, and share exclusive content. If they want to read in-depth information about your business or the services you offer, they’d go to your website. Keeping your newsletter short and sweet will put the most important information out there without overwhelming the reader. Link back to your website. Trying to get more traffic to your website? Always link back to your website at the end of your newsletter and include some internal links throughout the copy! Create a content calendar. In order to be consistent with your newsletter and ensure you don’t forget about it, schedule out your content in advance! This will also help you be more productive and save you time!